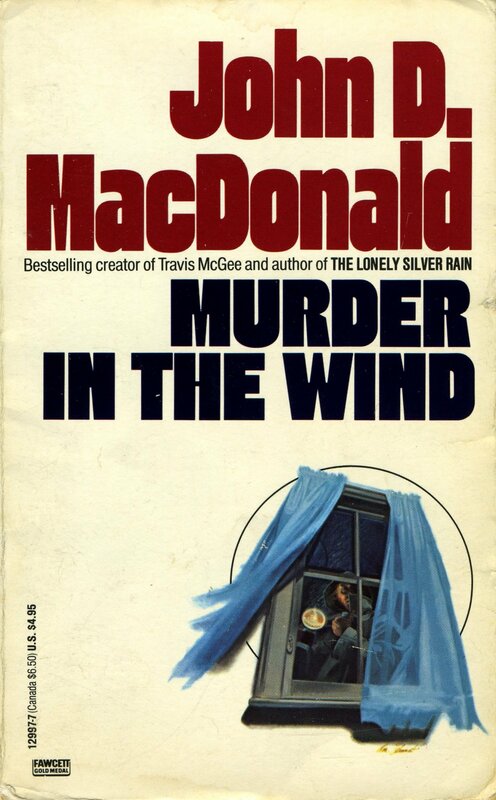 Here we see one of the last printings of Murder in the Wind. The giveaway is the “circle” art, which seemed to have as its goal taking an already uninteresting painting and reducing it in size so you can’t tell that there’s someone with a flashlight looking into the window. If you want to know what a Peeping Tom cover should look like, try this. If you would rather know what it’s about and why it’s so well written, I point you to Steve Scott’s master’s thesis here. Update (06/15/2012): This edition was published in 1985.